Healing space which stop the time. Rest the body at the hotel after finished working. Relaxed mood in the middle of the trip. Such the best suited attractive spot was engendered in Hotel Pearl City Kobe. 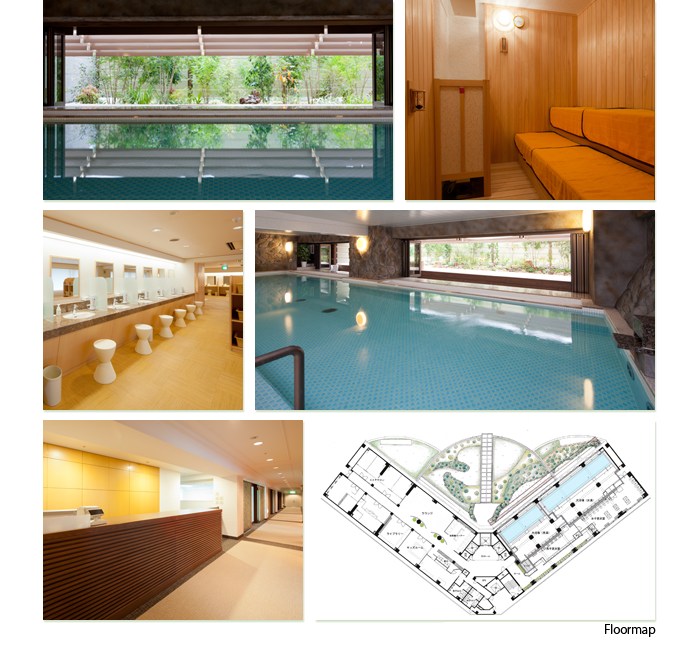 Large scale spa having width 1,200㎡ on entire third floor. Through the entrance, there is liberated area of body and mind. Enjoy the comfortable relaxation. ＊Towels in guest room can not be used. We will provide towel at the spa reception. ＊Spa is only available for hotel guests. ＊Please refrain from using spa with Japanese bath robe and slippers. ＊Please refrain from using spa for those who need "diaper/nappy". Hot water with charcoal becomes weak alkali by melted mineral and gets far-infrared effect. It makes your body warm and great your skin. Enjoy blissful moment in lushly green garden. Sauna is set up in baths for men. Promoting blood circulation effect by heat. It will eliminate the fatigue of the day. Luxurious time will rise to peace and energy for tomorrow.